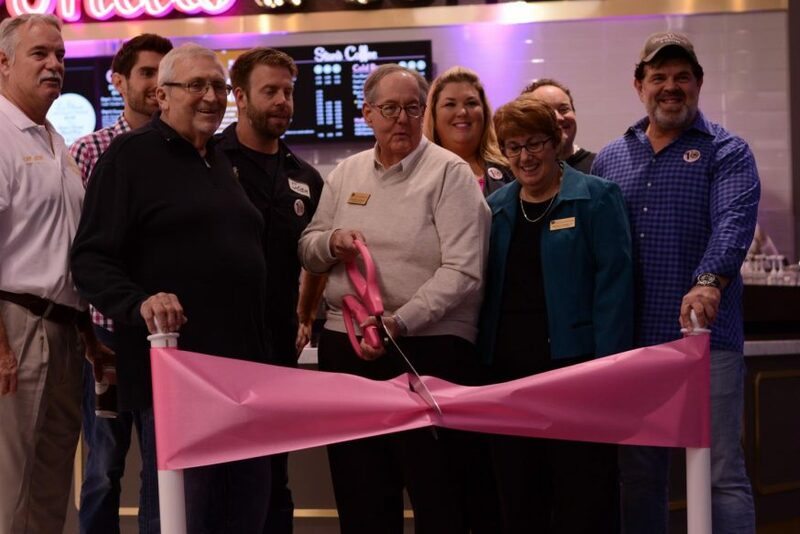 Armed with a pair of giant pink scissors, Schaumburg Senior Trustee and Mayor Pro Tem George Dunham cut the pink ribbon for the grand opening of Stan’s Donuts & Coffee at Woodfield Mall’s Dining Pavilion on Saturday, Sept. 29. They were joined by Stan’s owner Rich Labriola, Village Manager Brian Townsend, and hundreds of people waiting in line, hopeful for the promise of free donuts. The first one hundred people in line got free donuts, and one random person would receive the Golden Donut, which meant free donuts for life. The first person in line, Becca Joy Root, drove all the way from Minneapolis. A couple of Conant students were also waiting in line. Hannah Lexington, ‘21, and Aahana Shedge, ‘21, had waited in line since 6 a.m. “We saw an ad on Instagram and said, ‘Hey this is pretty cool, you know, they’re giving free donuts.’ I thought this was the best way to spend my Saturday,” Lexington said. Sarah is a junior and one of the Features editors. She plays soccer and is part of BPA, Spanish Club, and Political Club. In her free time, she reads comic books and listens to music.